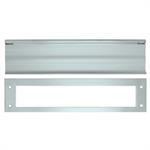 12-3/4"w x 3-3/16"h. Works with L30 mail slot. 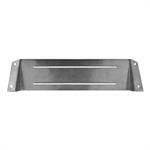 L601 Sleeves for Letter Box L620, L212 and L30. For 1-3/4" thick doors. In Stainless Steel.